Exploring and boating on Kentucky lakes is a fun activity for families during the summer season. However, there are things you need to check before heading out with the kids. First off, boating is regulated by the Kentucky Department of Fish and Wildlife Resources to ensure safety and preserve the natural environment. Under the Kentucky boating laws, a person 12 to 17-years-old will only be allowed to operate a boat after passing an approved boating safety course. They are required to have a person 18-years-old or older on board with a boater education card. This boater education certificate does not expire, does not need to be renewed and should be carried by the operator on board. Kentucky law enforcement officers patrol waterways and conduct inspections. The last thing you want to happen is ruin a fun family day, so make sure that you have your certificates with you. If you don’t and you’re operating the boat, you’ll be fined. 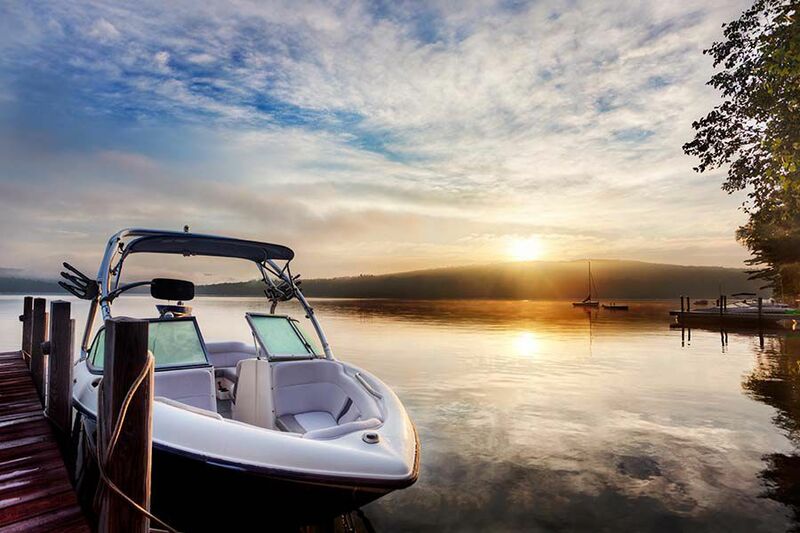 Apart from acquiring a boater certification, you must also have your boat registered with the State of Kentucky at the county clerk’s office. After paying the required fee, you will be issued a registration number and decals. This registration number and decals should be made visible on your boat. Once you’re done preparing these documents, another step to take is discussing safety measures with the family. To help prevent drownings and other boating injuries, please make sure each passenger has a life vest and have passengers under the age of 12 wear their vest at all times. Also, make sure that you know about motor size restrictions at certain lakes in Kentucky. Another tip to remember is to use your idle speed and slow down when passing by other boaters who are fishing. If your boat has stoves or gas equipment, you are required to have a fire extinguisher on board. Lastly, make sure your navigational lights are working, especially if you’ll be out at night. According to the Centers for Disease Control and Prevention, 347 people die each year from drowning in boating-related incidents. CDC stated that half of these deaths could have been prevented with the use of life jackets. In 2010 alone, the U.S. Coast Guard received reports of 4,604 boating incidents. Of those cases, 672 were killed while 3,153 were reported injured. Around 72% of the reported deaths were caused by drowning, with 88% not wearing their life jackets at the time of the accident. As a Kentucky Accident Attorney, I would like to reiterate the importance of practicing boating safety measures. It’s our responsibility as parents to help our kids understand why this matters. If we teach our kids while they are young to wear their life vests, know where the fire extinguisher is in case of a fire and how to evacuate the boat in case of an emergency, it will stay with them through their lives. Please put safety first and the fun will follow.